How appropriate that I chose this look on a day when our temperatures rose to 70 degrees? I opted for a zebra print instead of the leapard from the original and the black purse as well. This original is from Mix and Match Fashion that I Pinned in my Spring Looks but hey, I now own the cobalt pumps. I love this with the leopard and saddle colored purse and would definitley repeat it that way as well. My husband loved this look! Like a lot of men, he loves a woman in heels! These are my latest acquisition from Payless . Dear Readers, Today was definitely Hump Day, so making this a short and sweet post! Not ending this before I do my Gratitude Post, as on days like this it is even more important! I am grateful that despite having to take a cold shower, I was out the door on time! I am grateful I am a strong , vibrant . loving woman! I am grateful that I am at a wonderful stage in life as a mother when I can see my chidlren making such great choices for themselves! I am grateful if my weight loss inspires even one person to love themselves and take steps to better self care. I am grateful that my husband was home early tonight and able to see the final game of the World Series and share the expereince of watching the Red Sox win with his sons. 10 Responses to "Pinterest Inspiration"
Love that outfit! Follow by email and always enjoy seeing what outfit you put together. Question: Can we still wear bootcut jeans or are they out of fashion? Also, what shoes can be worn with jeans besides boots, is it just ballet flats? I may link up to this challenge, I have not been blogging alot lately. Have a wonderful day!! Thanks for sharing! I hope this helps and thanks for commenting and asking! Very pretty shades of blue. You did the blue/black combo very well. yes, Tara has a great relatable style! thank you! Your shoes are super awesome – I love the color, it’s so rich!! Great pinned look! 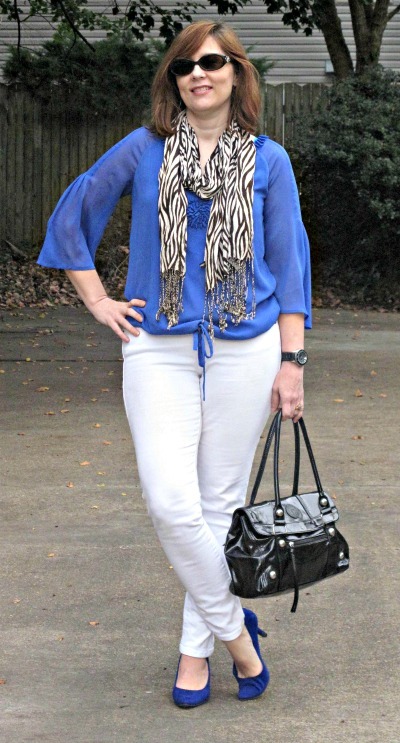 i always love the combo of cobalt blue + leopard/zebra print. You look great! 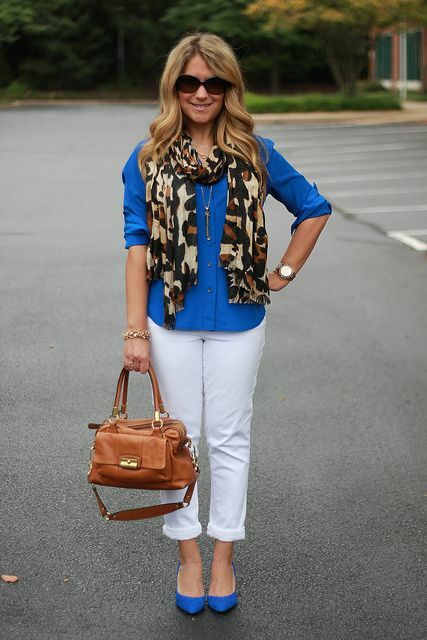 I love all the cobalt in this outfit. Thanks for linking up for Look What I Got. Hope to see you back this week! $50 TJ Maxx and Avon Giveaway!